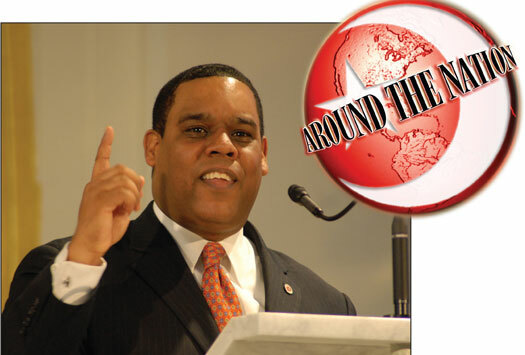 CHICAGO—Student Minister Carlos Muhammad from Muhammad Mosque No. 6 in Baltimore, Maryland, is among many who work tirelessly to preserve and spread the rich history of the Nation of Islam. The students of Muhammad University of Islam (MUI) in Chicago got the chance of a lifetime to experience and learn about the Nation’s rich history from Student Min. Carlos Muhammad who serves as national archivist for the Nation of Islam. 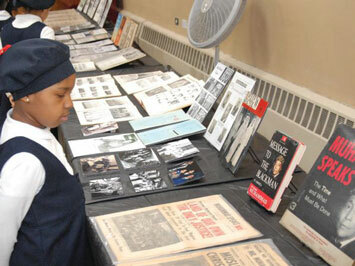 He presented information to students in elementary, middle and high school during his December 3-7 visit giving them an opportunity to see important forms, papers and other artifacts from the early days of the Muslim movement which was established and founded in 1930 in Detroit, Michigan, with the coming of the Great Mahdi Master W. Fard Muhammad. 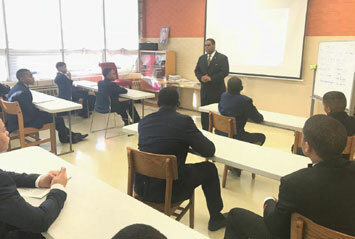 Students of Muhammad University learn more about the history of the Nation of Islam during Student Min. Carlos’ visit and presentation. Artifacts he presented included early Muhammad Speaks newspapers and report cards from former MUI students and personal possessions of Master W. Fard Muhammad such as his original Nation of Islam I.D. card and letters to his student, the Most Honorable Elijah Muhammad. Viewing the artifacts inspired the students and showed them how blessed they were to be in the school established just for them with the Chicago location on the grounds of the National Center purchased by the Hon. Elijah Muhammad purchased in 1972. “There were some tears shed during the presentation,” Student Min. Carlos Muhammad continued. “One of our great students learned that Sister Burnsteen was her great grandmother. This is Master Fard Muhammad’s secretary. Other students saw their parents and grandparents in the yearbook. … I was definitely in tears reading their testimony. Many of them asked could they help at the stations where the artifacts were,” he said. Presentations also included audio clips of the Hon. Elijah Muhammad and his wife, Mother Clara Muhammad, as well as a 22-minute film called, “The Nation of Common Sense” produced by the NOI in 1970 to showcase the movement’s businesses and operations. MUI students wrote extensive letters expressing their gratitude to Student Min. Carlos following his visit. Nasira Al-Nisa, also in 11th grade, was touched by the artifacts about MUI. “Seeing the document that showed the proof of purchase of land by the Honorable Elijah Muhammad while he was in prison allowed me to know in depth just how much he loved us,” she wrote. “Furthermore, it also meant a lot to me to see the yearbook photos of all of the MUI students from years ago. I felt a sense of connection with them because not only are we brothers and sisters by faith, but they sacrificed so much for me to be where I am today and to have what I have today,” she added. Sahirah Karim who is in middle school, said the presentation taught her the importance of history for success. “It is important to know the history of my school so I can thrive and better strive my way to success. With history you become fairly grateful and happier,” she wrote. Since joining the Nation of Islam at the age of 15 in 1988, Student Min. Carlos Muhammad has been involved in archiving, preserving and sharing the history of the movement. He has presented at Morgan State University, at the Nation of Islam’s Annual Saviours’ Day Convention and other public forums and events. “It’s not just an in-house archive about an 88-year history but that which the world should know,” he explained. “Many times, people learn about us through other platforms and mediums by people who don’t have tangible artifacts or who just don’t mean us any well-being and so they fabricate and distort and lie on the history of our Nation,” added Student Min. Carlos Muhammad. Student Min. Carlos Muhammad said he hopes to make the NOI historical presentations a part of MUI’s history lessons via the internet. “It is the desire of the Minister that we tell all of the story of our Nation starting from the beginning,” he said. For more information, contact Nation of Islam Archives@NOIArchives on Facebook or @noiarchives on Instagram.